Welcome to the Eastern Conference! It is finally official, realignment has been approved and will go into effect next season. 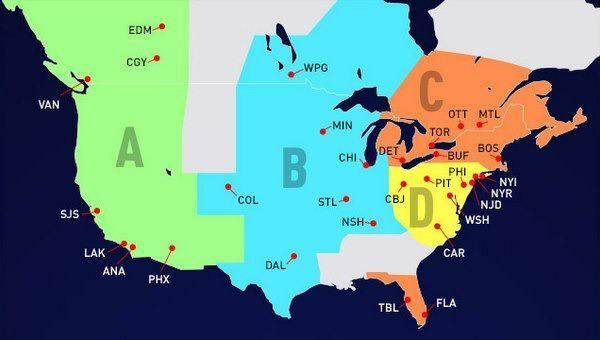 The Red Wings and the Columbus Blue Jackets will move from the West to the East while the Winnipeg Jets move from the East to the West. These moves makes the league a little more geographically appeasing. The Red Wings and Blue Jackets now aren’t forced to potentially play playoff series (just kidding Columbus) out West and even better for us fans who don’t have to wait till 10:30 for the games to start. The biggest loss is the Blackhawks division rivalry the Wings had. Chicago is still in the West, but in a central division time zone as you can see above. It seems like all of the leagues are pretty even when it comes to top-to-bottom talent. In losing the Blackhawks rivalry it will be great to see the likes of the Maple Leafs, Canadians, Bruins and Lightning come to town more often. The Blackhawks will still come to town once a year as each team will play in every arena every year. 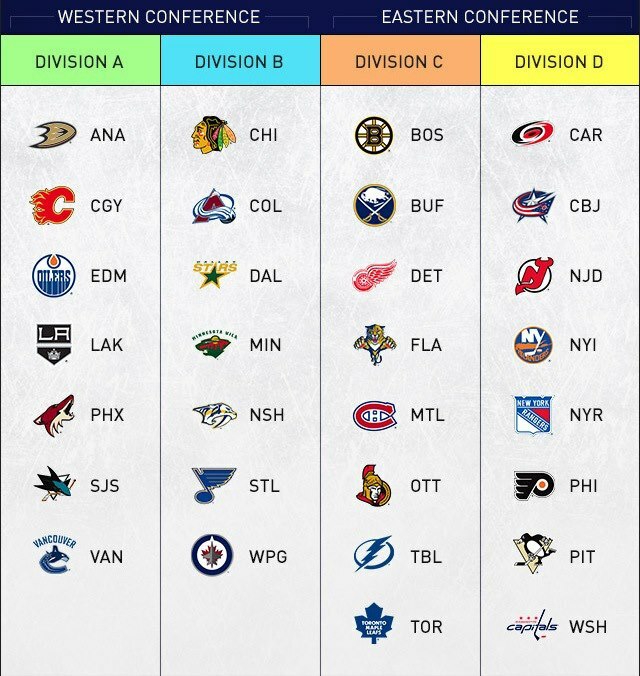 The Stanley Cup Playoffs will still consist of 16 teams, eight in each conference, but it will be division-based and a wild-card system has been added as a new wrinkle. The top three teams in each division will make-up the first 12 teams in the playoffs. The remaining four spots will be filled by the next two highest-placed finishers in each conference, based on regular-season points and regardless of division. It will be possible, then, for one division to send five teams to the postseason while the other sends three. The teams finishing second and third in each division will play in the first round of the playoffs. The winners of each series will play for the divisional championship. All the league really needs is some catchy division names, and thank God the Legends and Leaders names are already taken. In other hockey news not on the ice, the Wings and goalie Jimmy Howard are getting closer to a multi-year deal that will likely double his salary to $5 million and be for six or seven years according to Mlive.com. Howard has been one of the best players for the Wings with a 10-7-4 record and a GAA of 2.46 and a .914 save percentage. Those numbers don’t sound out of this world, but looking at the losses and injuries in front of him it is amazing how well he has played. Detroit is also trying to negotiate a deal with potential free agents Damien Brunner and Valtteri Filppula. Brunner has ten goals in his rookie season so far and has played well for the team on the offensive end. His defense has been an issue, but despite that he is a player I’d welcome back if the price is right. As for Filppula it seems like the money may be an issue. Mlive.com is reporting that the two are far apart as Filppula is looking for around $5 million a year. His current salary is $3.5 million and his play hasn’t shown he deserves the raise in his contract season. How exciting is it to see the Wings in the Eastern Conference and out of the three players the team is looking to resign, who would you like to see and why? Let us know on DetroitSportsBloggers.com or on Facebook and Twitter. This entry was posted in NHL and tagged Blackhawks, Damien Brunner, Eastern Conference, Free Agents, Jimmy Howard, NHL Realignment, Red Wings, resigning, Valtteri Filppula, Western Conference. Bookmark the permalink. 1 Response to Welcome to the Eastern Conference!